Newark High School provides busing for students from a variety of locations across the district. 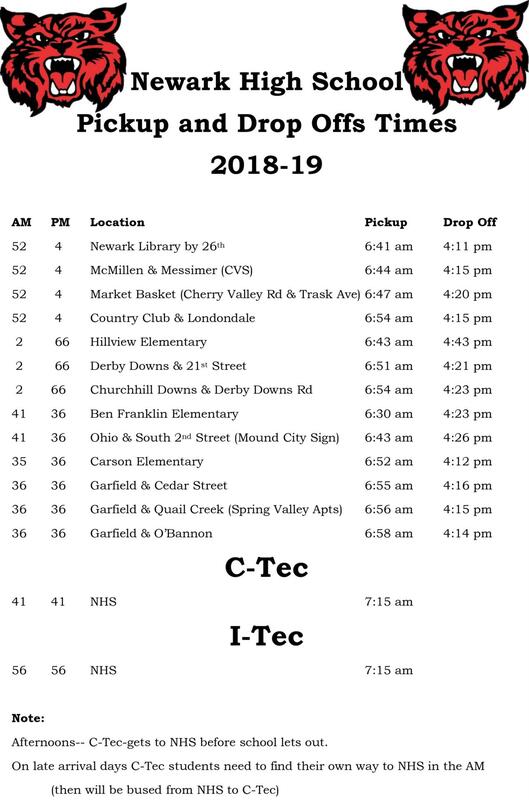 Please click this link to find the full pick-up and drop-off schedule for NHS busing. Drop-off times will stay at the currently listed times until September 24, when WildCat Adventures starts. After that date, drop-off times will be 6 p.m.